Black and White test outputs. 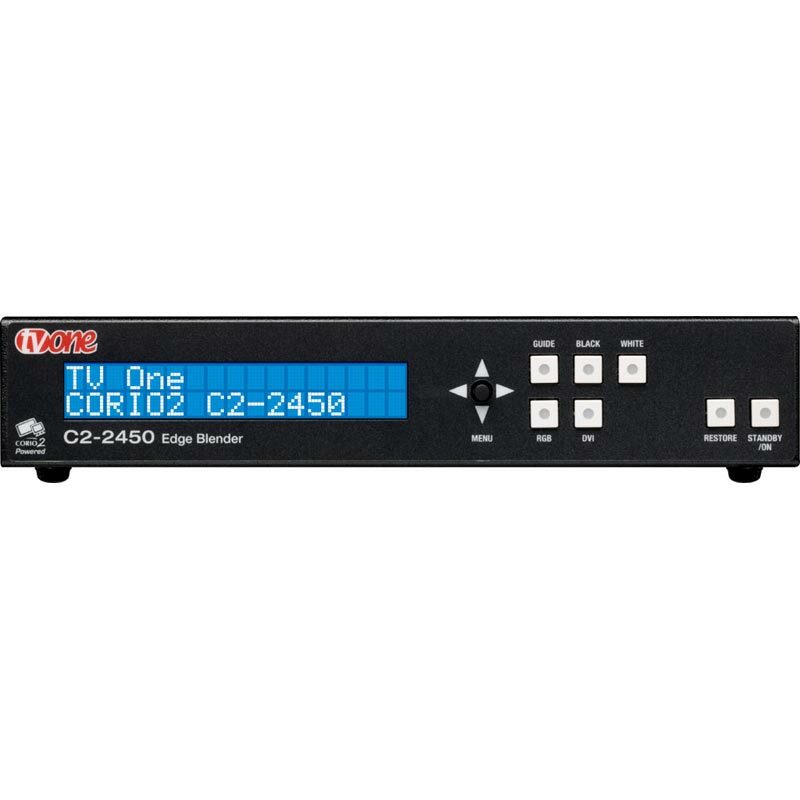 C2-2450A Edge Blender is based on TV One’s exclusive CORIO®2 technology and enables easy Edge Blending using 2 or more units. DVI and RGB inputs and outputs at virtually any resolution and refresh rate are supported. All settings are stored in non-volatile memory and are retained even when power is switched off. Ten user defined presets are also available to customize settings for various applications. 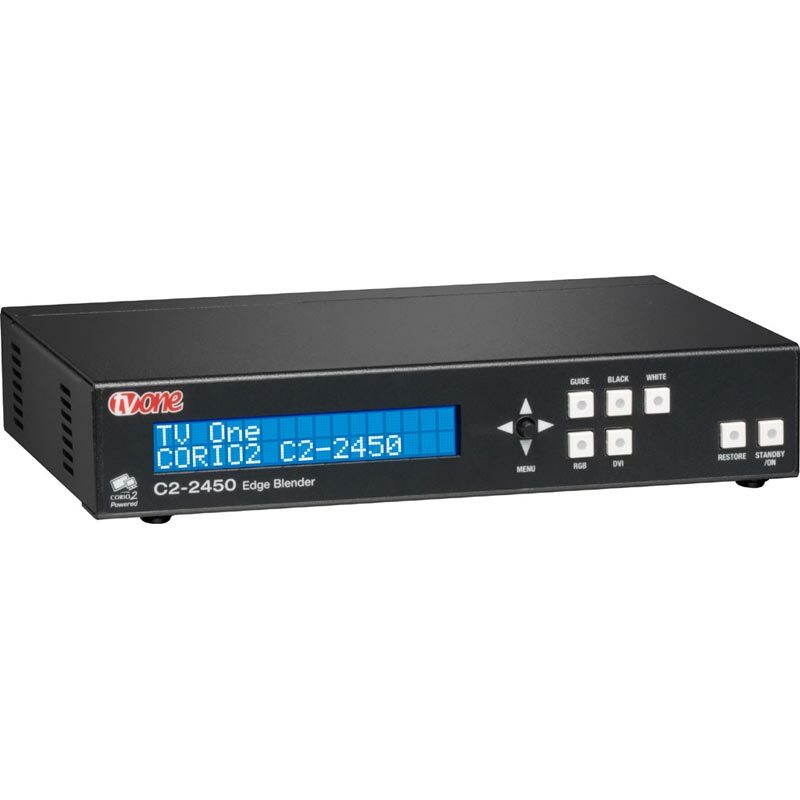 All the functions can be controlled via the front panel Push Buttons, Infrared, RS-232 or IP. Windows Control Panel software is provided and most third party control systems interface directly with the entire C2 range of products. A front panel LCD makes setup easy. 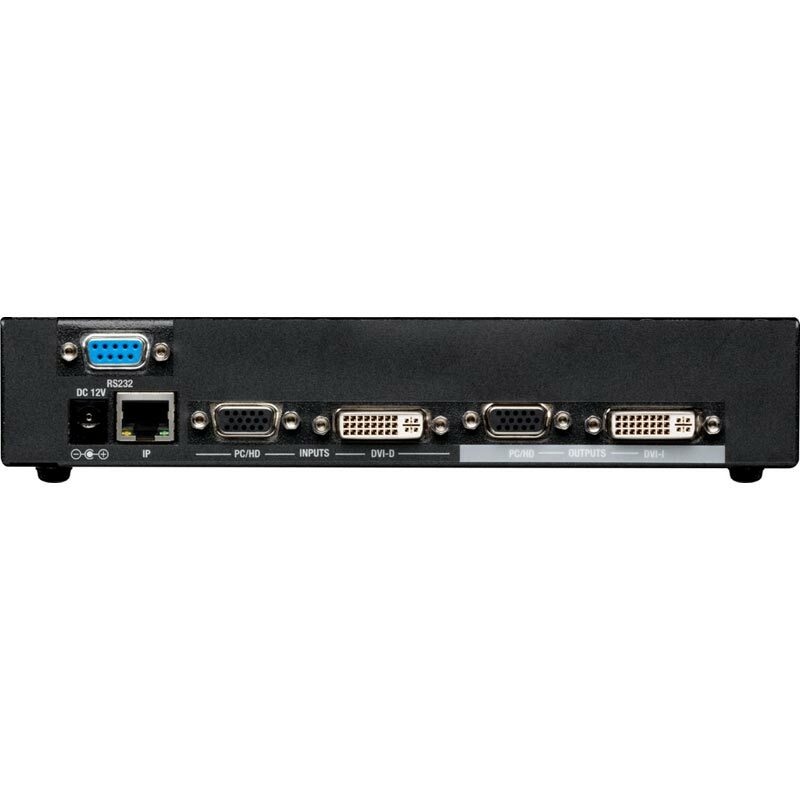 The unit is housed in a desktop case and an optional rackmount kit holds one or two units. Pixel-accurate scaling is available to support virtually any edge-blend application with images from multiple units aligned vertically, horizontally, or both to create unusual displays. Gamma correction is employed to compensate for many of the problems faced when blending projectors. Special preparation of the video in advance is not necessary, since all processing is done within the unit.